While many people say you can’t do it, it is definitely possible to find a great deal on the MLS (Multiple Listing Service), but it takes patience and work. 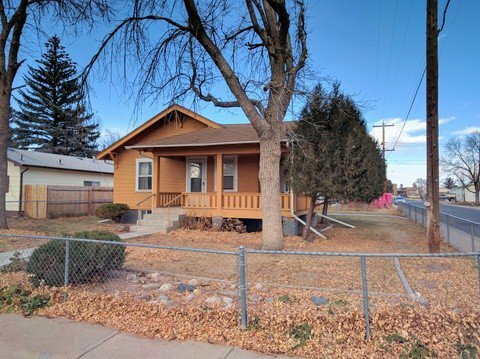 I sold 26 house flips last year in Colorado, and I bought most of those deals from the MLS. Many markets are seeing rising prices and low inventory, which makes it hard to get a great deal. Even though prices are higher and competition is fierce, there are deals on the MLS. There are many ways to buy houses below market value, but this article will focus on the MLS because that is where I have had the best results. I am going to discuss what strategies I use and how you can get great deals on the MLS as well. What is the MLS and how do you access it? MLS stands for Multiple Listing Service and is used by real estate agents to list houses they have for sale. Almost all real estate agents will list the houses they have for sale on the MLS so that other real estate agents can see what houses are for sale. The MLS is available only to licensed real estate agents and their assistants, but many of the listings do end up on public websites. Zillow, Realtor.com, and other sites often list properties from the MLS, but they do not list all of them. Not every real estate office or agents share their information with those sites. Houses that are for sale on Zillow may also be “under contract,” which means another buyer has a signed contract to buy the home, and no one else can buy it unless that contract falls through. Some people think it is unfair that agents and brokers are the only ones with access, but Real estate agents and brokers pay for access to the MLS and essentially created the system. The only way to gain direct access to the MLS is to become a real estate agent or an unlicensed assistant to an agent. I am a real estate broker and real estate investor. I find the information from the MLS invaluable, and I get many deals because I am an agent. I also am able to find values easier thanks to MLS access, and I earn a commission when I buy from the MLS. I also do not have to pay a commission to a listing agent when I sell on the MLS (I do pay the buyer’s agent). How do real estate agents make money? To better understand how the MLS works, you must understand how real estate agents make money. In most cases, the seller pays for the listing agent and the buyer’s agent. There are no set real estate commissions, but as an example, HUD pays 3% to the listing agent and 3 percent to the buyer’s agent. The listing agent gets 3% of the sales price only when the house sells or closes, as does the buyer’s agent. If the house never sells, no one gets paid. The real estate agents do not get to keep all of that money as they must pay their brokers. Each agent must hang their license with a broker who usually takes a percentage of the deal as well. The agents also have to pay for MLS access, insurance, Realtor fees, and more. If you are looking to buy a house, you will not have to pay our agent, the seller will. If you happen to be an agent yourself, you can get that commission instead. If you buy a house for $100,000, you can make $3,000 on the deal if the commission paid is 3% (before paying your broker). Why do people avoid the MLS? I hear investors say you can’t buy from the MLS because there are no deals there! It is true that there are many people trying to get a great deal from the MLS, but that doesn’t mean it is not possible. Investors are getting deals from the MLS in every market. It may not be as easy as it was right after the housing crisis but there are still deals. When you ask those people why there are no deals on the MLS, you soon learn there are deals, just no investors buying them. There are still many deals if you know how to find them, and to me, it is easier to buy off the MLS than other places. I used to buy many of my fix and flips from the trustee sale, but there is so much competition that prices are higher at the trustee sale than the MLS. With the trustee sale, you have to pay cash in two hours and many times cannot see inside the home before you buy it. I would rather buy off the MLS where I can complete an inspection, see the home, earn a commission, and get a loan. Most people say there are no deals on the MLS because they do not know how to get them. They do not know how to look for deals, how to make offers fast enough, or how to make their offer attractive to a seller, even though it may be much lower than the asking price. People also ask me how I am finding so many foreclosures on the MLS. They assume, since I am finding deals, they must be foreclosures. I have bought one or two foreclosures in the last two years. Most the houses I buy from the MLS are not foreclosures, and you do not have to buy foreclosures to get a great deal. In fact, many banks have made it tougher for investors to buy foreclosures. They do not simply give them away for pennies on the dollar. I look for any property for sale on the MLS. Limiting yourself to only foreclosures is a huge mistake. How do you get deals that aren’t foreclosures? A fair-market sale is a term used to describe a home that is owned by a regular seller. It is not in a short sale situation or an REO. A short sale is when the homeowner owes more to the bank than they can sell the home for and the bank has to approve taking less money than they are owed. Many homeowners bought foreclosures after the housing crash. Not every homeowner had the money or time to repair the home once they moved in. Some of those homeowners need to sell their home that is still not in very good condition. If a house needs repairs, that creates opportunities. The more work that is needed, the bigger the discount it takes to get a home sold. There are many other situations where regular sellers need to sell fast or will sell for below market value. Many landlords do not keep good tabs on their tenants, and they destroy a house. Estate sales can often be good deals. Some houses are just outdated and need a full remodel, even if they are not in bad shape. Most of these houses are listed on the MLS by real estate agents, and they can be great deals for investors. There is no trick to finding them: just look for any good deal on the MLS. Don’t limit yourself. Do rising prices or mistakes create opportunity? With rising prices, some homes are underpriced by real estate agents or sellers. I have bought a couple of houses that were underpriced recently, and I either had my offer accepted right away or won a multiple offer situation. Houses are underpriced because the real estate agent did not know the true value of a home due to an increasing market, or it could be the seller wanted to sell the home quickly. In some cases, the real estate agent simply does not know what they are doing, and they price a home too low. You may think that pricing a home too low is not a big deal as a bunch of investors will submit offers and drive the price up. That can be true, but if you act fast, it is also possible to submit an offer first, and if you get lucky, get your offer accepted before any other offers come in. How many offers do you need to submit? I also get asked how many hundreds of offers I am submitting a week to get deals from the MLS. I do not send offers in on every property that is an REO, short sale, or in some way distressed. I am very particular about what I offer on. I know agents and investors who submit low-ball offers on just about every property that has a hint that it needs work. I was an REO agent for many years, and one agent sent me an offer on almost all of my listings that was more than 50% less than asking price. He did not get one of them accepted, and it was a huge waste of time. It also hurt his reputation because everyone figured any offer he sent would be low and they would not take it seriously. I will submit some low offers, but I also submit high offers. I base the properties I submit offers on on many factors. I look at how long they have been on the market, the wording in the MLS description to see if they sound motivated, the price, the condition, and much more. I might look at 3 or 4 houses a week and offer on one or two a week, and some weeks I don’t make any offers. I would guess on about 25% of the offers I make, I get the property. If you find a great deal, don’t be cheap! Don’t try to low ball an already great deal. If a great deal comes up on the MLS and I am willing to pay full price or even a little over full price, I will submit my first offer at full price or better. This gives me a better chance of getting the deal before any other offers come in. If there are multiple offers, the seller will often give every offer a chance to increase their price. Don’t try to make a few extra bucks if there are multiple offers. Offer the most you can to make your desired profit. It is better to pay a little more for the house and get the deal than to try to offer a little lower hoping no one else offers higher and miss out. I am not saying you should pay more than the numbers say you should pay, but don’t try to guess what the other offers will be. When I make an offer on a home, I may try to offer a little less than I want to pay if I think I can get my offer in before any others. If the home is an amazing deal, I will offer full price or sometimes even above full price so that the seller will sign my offer before any other offers come in. In a multiple-offer situation, I do not pay attention to the list price. I offer the most I can that will still make me my desired profit. Sometimes I offer less than the listing price, and sometimes I offer more than the listing price. The best way to make your offer more appealing is to offer the highest price you can. I do not try to low-ball every offer. I will offer more than list price if it makes sense or much lower if that makes sense. I do not jeopardize a good deal to save a few thousand dollars. If the listing price works for me, I will be happy to offer list price or higher. There are other ways to make your offer more appealing. I am an experienced investor, and I am in a great place where I can offer cash on a property if I have to. I also have a great portfolio lender that will not require an appraisal on loans under $150,000. Most sellers want quick and easy closings, and a cash offer is usually the most enticing to them. If you have to use financing, use as few contingencies as you can. I am able to remove the appraisal contingency on most of my financed offers, and I will even remove my inspection contingency in some cases. On almost all of my offers, I have taken out my inspection contingency. This is risky for someone who does not know what to look for in a house, but if you are getting a good enough deal, a few unknown issues will not kill a deal. A cash offer with no inspection contingency is a great offer for most sellers. But, some sellers like HUD only care about the net price to them and do not care if you use cash or a 203K rehab loan. How can you act quickly? I am a real estate agent, and that gives me a huge advantage when submitting offers quickly. I check MLS multiple times a day, and as soon as I see a great deal, I look at the house as soon as possible. If I like the house, I have my assistant write up an offer and send it to me with DocuSign. DocuSign lets me sign the contract electronically on my phone, and I can send an offer to the seller almost immediately. By being an agent, having an assistant, and using DocuSign, I can send an offer in less than an hour after a home is listed. Acting quickly is one of the most important things you can do when buying off the MLS. If you are not an agent, you need an agent who can act quickly for you, but as you can see, being an agent is a huge advantage. Not only can I act faster than most buyers, but I also make the commission myself instead of having to pay an agent. It is true that many REO sellers will not accept an offer right away, but many short sales and fair market sales will. Most banks, when selling their REOs, will have a five-day period or longer before they will review offers. Some banks and HUD will have owner-occupied periods as well where only owner occupants can make offers when a home is first listed. This is why short sales and fair markets sales can sometimes be better deals than REOs. What if you are not an agent? No matter what you do, it is going to take longer to submit an offer if you are not an agent. One way to speed things up is to ask your agent if they can set up property alerts for you. In my MLS, I can set up a property alert that sends specific properties that meet my given criteria to my e-mail as soon as they are listed. I set these alerts up for myself because I sometimes miss a great deal on the MLS. I was able to buy my last fix and flip thanks to a property alert that told me a home was back on the market. Investors can use sites like Zillow or Realtor.com, but those listings are not always updated quickly. The best way to submit offers quickly is to have a great real estate agent. Besides setting up property alerts, you need an awesome agent. You need an agent that can submit offers quickly and show homes quickly. Don’t be afraid to try out a few agents until you find the right fit. In some cases, a new agent may be better than an experienced agent. The new agent will have the time and motivation to find you deals and act quickly. The older more experienced agent may be too busy to find deals and write offers as quickly as you need. 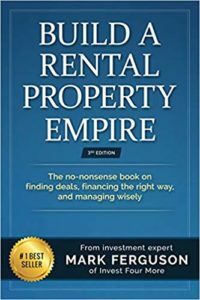 If you are a good real estate investor you do not need a real estate agent who will show you how to be an investor and tell you exactly what to buy. You should already know what you want to buy and what a good deal is for you. If you can find an agent who knows all about investing great, but it is not a deal killer if you can’t. In some cases, real estate agents who know all about investing are not the best choice because they may be your competition if they are looking for deals themselves. Should you become an agent? To get access to the MLS, you must be an agent or an agent’s assistant. Access to the MLS is key to my business, but I am also buying and selling close to 30 houses a year. It is well worth it to be an agent just for my own deals. I also save hundreds of thousands of dollars in commissions because I am an agent. The big advantages of being an agent is being able to act fast, not having to wait on another agent to show me houses or write offers, and getting access to comparable sales and listings. I think if an investor is doing more than one deal a year, they should look into becoming an agent. It will cost some money and take some time to get your license, so do not take the decision lightly. I talk more about the advantages and process here. It is not easy to become a real estate agent. The education requirements can be difficult. In some states, you need more than 200 hours of classes, while others require as few as 40. The test is not easy to pass either. It is not a simple common sense test, and it takes studying, even if you think you know everything about real estate. You have to hang your license with a broker when you first get your license. The broker oversees your activities and should act as a mentor. In most states, you must hang your license for 2 years with a broker before you can start your own company. You will have to pay your broker part of your commissions or fees to hang your license with them. If you simply want to save money on your own deals, you may be able to get away with a low-fee broker. If you want to be an agent who makes money and sells houses for or to other people, I would choose a broker who will train you. Is it bad to be an agent and an investor? Many people say that real estate investors should not become investors. There reasoning is that real estate investors have less leeway on how they act with sellers. It is true that agents must use more disclosure when buying properties. I have to disclose that I am an agent whenever I buy a home or talk to a seller. I have no problem doing this because I think it gives me more credibility. I have a company, and sellers can file a complaint against me if I do anything shady. On off-market properties, I must disclose I am buying the property below market value and may make a profit on it. I have no problem doing that either since I can justify buying below market. I charge no commissions and pay for other costs that they would have if they listed the home on the MLS with an agent. I am also very honest with off-market sellers. I do not try to trick them into selling their house to me for pennies on the dollar. I tell them how I make money, what costs I would have, and how the process works. Most sellers respect that, and I can sleep well at night. Being an agent and investor does not hurt me at all since I look at disclosure as a way to provide credibility. Buying off the MLS is not rocket science, but there are definite tactics to use to increase your chances of getting a great deal. Acting quickly and being able to identify a great deal are the most important things you can do. Making solid offers will also increase your chances of getting that great deal. When you see a great deal, you better be able to pounce on it and get it under contract before anyone else can. 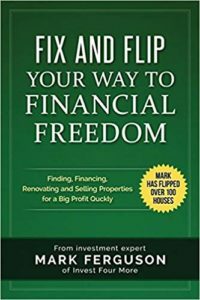 Nine of my last ten fix and flips were bought from the MLS, so it is possible to get a great deal on the MLS.